The headphone market is massive. When deciding which headphones will give you the best bang for your buck, it’s important to first know what you’re going to be using your headphones for. Whether you’re a new engineer producing a podcast in your bedroom on the weekends, a studio professional mixing in an isolated workspace, or an audiophile who enjoys the hi-fi listening experience, this list will illuminate the best choices at a reasonable price point. If you’re looking for a pair of comfortable, closed-back studio headphones, you’ll find them in Sennheiser’s HD 280 Pros. This set is particularly great for tracking, as they passively block up to 30 decibels of ambient and room noise, unlike an open-backed alternative. This drastically reduces leakage, allowing you to play mic’d up without fear that your headphone output will get picked up. Coming in at under $100 brand new, this pair is an extremely affordable option for the pros in the studio, as well as the more casual hi-fi audiophiles. Aside from being perhaps the most comfortable cans you’ll ever put over your ears, the Beyerdynamic DT 770 PROs have become a staple for audio engineers. One of the most interesting parts of these phones is their innovative bass reflex technology. This technology reproduces low-end frequencies very naturally and balanced, making these and ideal choice for post-production mixing. Coming in at between $115 and $250 on Reverb, you’ll be able to find a pair that works for you wout breaking the bank. You might be familiar with Audio-Technica’s ATH-M50x headphones, as they’re often lauded for being a pair of the best headphones you can buy for under $200. 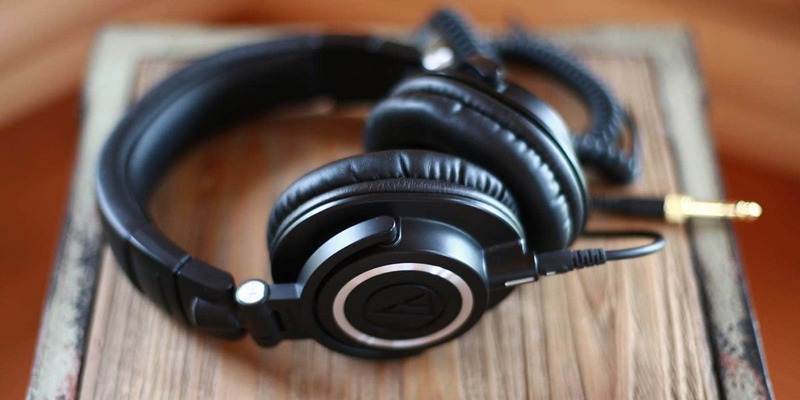 But if you’re looking to really get a bang for your buck, graduate to the upgraded ATH-M70xs. Other than being stylistically more appealing than the ATH-M50xs, the M70xs truly do have a better build quality than their predecessor. This model opted for some metal components over the plastic alternative, so they’re built to last. They’re also quite comfortable, and long sessions wearing this pair are manageable. Housed in their closed back construction are 45 mm large-aperture drivers. Unlike the bass-heavy M50xs, the M70x’s extended response offers a more accurate and balanced reflection of what high-end and low-end frequencies should sound like – a far more natural, flat, and balanced sound. These headphones do have a tendency toward brightness with pronounced mids and vocals. Keep in mind that if your mix is sounding vocal-heavy on these mid-forward headphones, it's often because you don't have enough vocals in your mix. The AKG K702s can be had on Reverb for between $180 and $350. For that price, you’re getting an extremely comfortable pair of open-backed headphones with an unbeatable neutral frequency response and stereo imaging. If you’re going for open-backed headphones for mixing and mastering without unlimited resources to spend, the AKG K702s are the way to go. At the top of the price pyramid, you’ll find the open-backed Grado Labs RS2es. These headphones are the little brother to the RS1es. While the RS1es are truly the gold standard when it comes to studio mixing (if you can’t use monitors, that is), they also have a gold standard price point at roughly $700. The RS2es are considerably discounted at just under $500 without sacrificing all of the features you’d get with the RS1es. Manufactured in Brooklyn, NY, these headphones operate efficiently at 32 Ohms. This means that compared to lower impedance headphones, they require less output from your headphone amplifier. The lows are deep and rumbling and the mids and highs are crystal clear. They sound much more like tiny speakers on your head then they do traditional headphones. Many people do prefer over-ear headphones for longer studio sessions, though, so take that into consideration before checking out. But if you can get past the on-ear construction, these are simply the best and most accurate pair of headphones you’ll get under $500. Making the right headphone choices, even on a low budget, amounts to nothing less than a game changer.